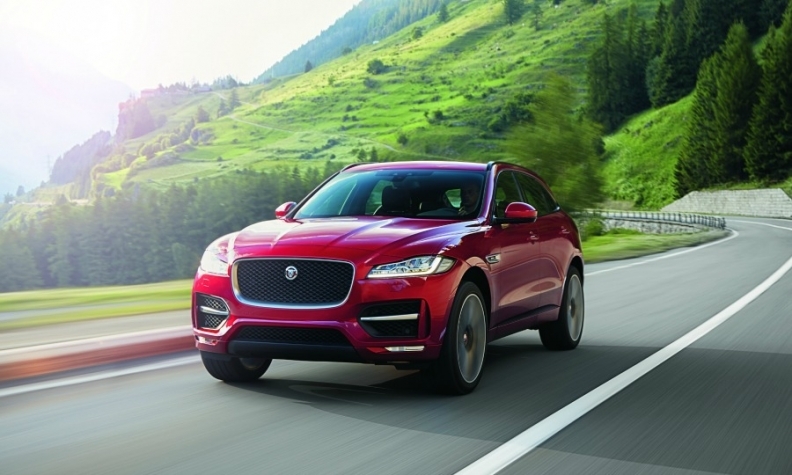 The Jaguar F-Pace helped boost UK car output. LONDON -- UK car production rose 16 percent to 149,334 units in April, boosted by strong overseas demand, the Society of Motor Manufacturers and Traders (SMMT) said. Production of cars for export jumped 24 percent, while output of vehicles built for domestic demand slipped 7.8 percent, the SMMT said in a statement today. UK car production hit a 10-year high in 2015 helped by a 9 percent increase in the number of models produced by Jaguar Land Rover, which overtook Nissan to become the country's biggest automaker. "Britain's car manufacturing sector continues to thrive with a steady domestic market and surging demand from overseas, including our biggest export destination, Europe," Mike Hawes, SMMT chief executive, said in the statement. The UK is due to vote on June 23 in a referendum to decide whether to remain in the EU. The SMMT says 60 percent of the country's vehicle production is exported to EU markets and it supports the UK's continued membership of the 28-member bloc, which gives automakers tariff-free access to the European single market. John Leech, KPMG's UK automotive head, said last month's production rise was due to the recent launches of the Jaguar F-Pace, Jaguar XE and new Opel/Vauxhall Astra. He said growth was largely from the EU. Car sales in the EU are expected to keep growing in 2016 and 2017 as there is "substantial pent-up demand," Leech said. KPMG forecasts that UK car manufacturing will rise 15 percent this year to another high for the market. GM's Opel/Vauxhall European unit builds Astra models at it Ellesmere Port plant in England, according to the Automotive News Europe's European vehicle assembly plant map, while Jaguar builds the F-Pace SUV and XE sports car at its Solihull factory near Birmingham, central England. Nissan builds the Qashqai, Juke, Note and Leaf and Infiniti Q30 models in Sunderland. Other manufacturers in the UK include Toyota, BMW's Mini and Rolls-Royce brands and Honda.